Monday-Friday. Half day drop off is 7am-12pm or 2pm-7pm, this is so we do not interfere with nap time from 12pm-2pm. 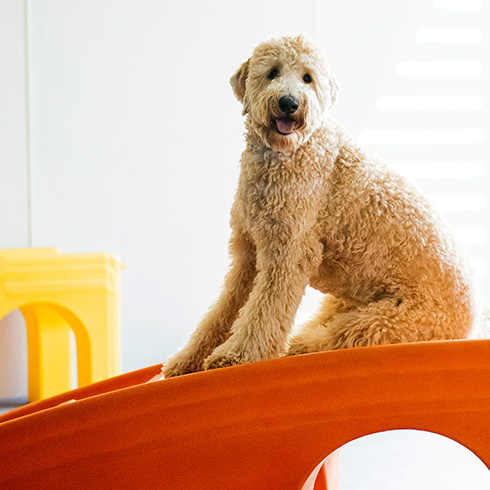 Open play is for dogs that are comfortable in a social, pack play environment. Pass holders enjoy the benefits of guaranteed availability, meals and medications as well as a discounted daily rate. 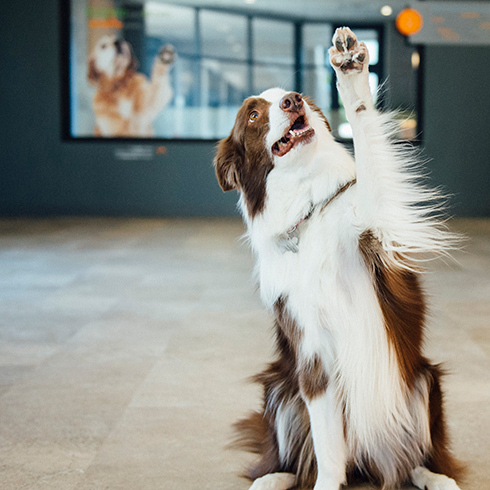 Den like home style crates and private suites are available for dogs boarding during the day and night. 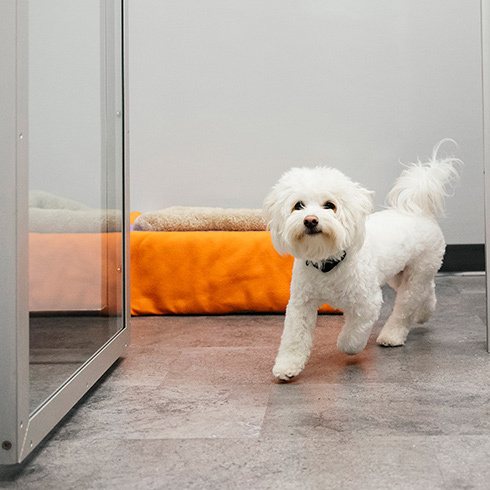 Our crates are a common in home model and offer a safe, private space to ensure a peaceful rest while snuggling with toys and comfortable bedding. In-house food is an additional $5 a night. Prices may vary on breed, size and condition of coat. 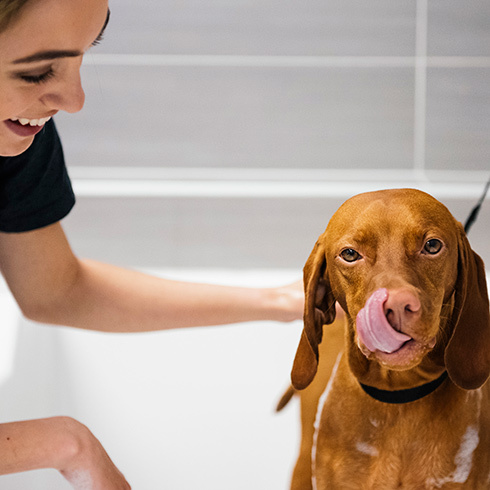 Our Full Service Spa treatment includes bath with shampoo and leave in conditioner, nail trim, teeth cleaning, ear cleaning, and blow dry.